In ‘Think of Others,’ the poet’s message is self-evident. Darwish repeats the same phrases, and urging us to not only be grateful for what we have, but also to help those who are less fortunate. The poems acts as a powerful plea from Darwish to ‘be the candle in the dark’ and to help those are who in need; both near and far. 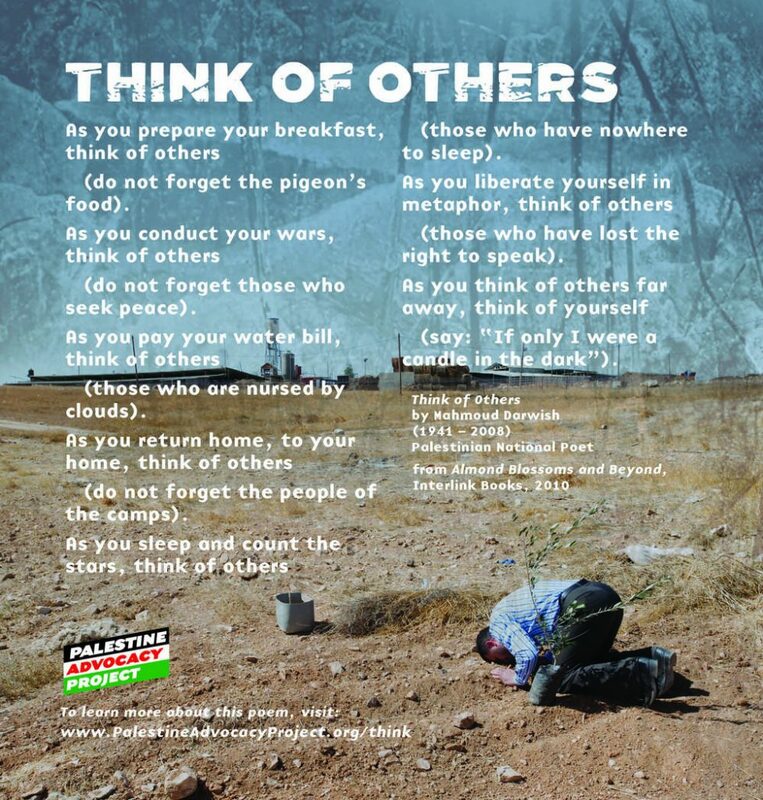 “Think of Others” by Mahmoud Darwish, from Almond Blossoms and Beyond. Translated from the original Arabic by Mohammed Shaheen. © Interlink Books, 2010.